Kolkata : It is the time of the year when the spirits are high for all Bongs as they ring in the New Year with a festive fervour – it is time for Poila Baisakh. 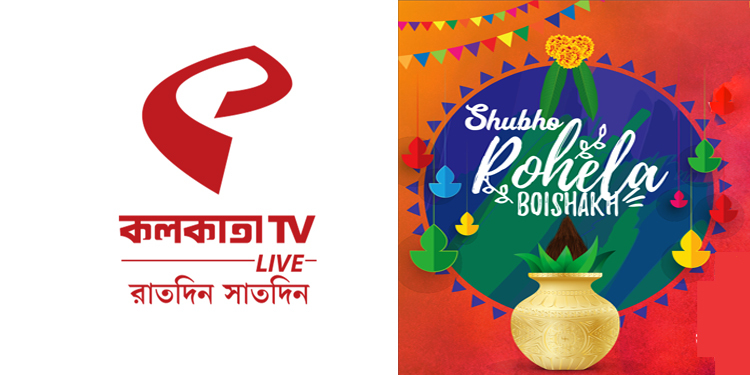 Kolkata LIVE brings a special programme to all the viewers around India while it captures the celebrations in the lives of the regular Bengali family. Poila means first and Baisakh is the first month in the Bengali calendar which marks the beginning of a new year for Bengalese and is celebrated around the mid of April every year. Bongs celebrate the festival with various processions and fairs around the city, along with some amazing gastronomic delights and family time.Their vibrant enthusiastic personalities and their love for food is reflected in their culture &passion with which they welcome the onset of Baisakh. The celebrations begin early in the morning as every family member comes together to watch the sunrise which is considered to be auspicious. Every household is adorned beautifully and women make some stunning alponas(rangolis)outside their homes. Authentic Bengali delicacies are prepared with much gusto and relished with friends and families. A procession is taken out in the streets – known as the Prabhat Pheris. They make a spectacular sight as men and women draped in traditional Bengali attire and go around the city singing songs and performing local folk dances. The rest of the day is spent visiting family & friends and exchanging sweets. Poila Baisakh also witnesses the inauguration of new books of account – haalkhata,by every trader. Prayers are offered to seek the divine blessings. Kolkata LIVE is right on its way to capture the high spirits of Bongs during this spectacular celebration of Poila Baisakh and to bring the festivities from Bengal to the homes of rest of India. One would move around the streets of Bengal presenting the lively festivities occurring around the city. Kolkata LIVE, Bengal’s preferred lifestyle and entertainment channel will take its viewers through the Naba Barsha.